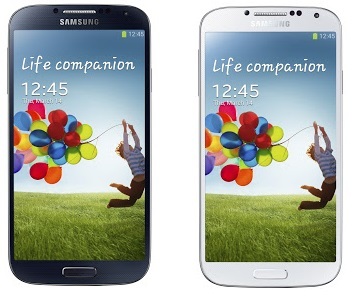 Is the Galaxy S4 on course to sell 10 million in less than 40 days? Samsung have been steadily growing in popularity and last year attention peaked with the insanely popular duo of the Galaxy S3 and Galaxy Note II! When the Samsung Galaxy S4 was announced it was widely tipped to be a big seller, but we weren't too sure because HTC's new flagship, the One, offers a much more premium feeling device and that has been supposedly selling pretty well. Well it seems that the HTC One hasn't made too much of a difference because some Korean news outlets are reporting that unnamed Samsung execs are saying that the company shipped as many as 4 million Galaxy S4's in the four days after the devices launch! Since then sales have supposedly slowed a little, but the report says that the South Koreans should have sold as many as 10 million devices by the end of the month! So you have a little idea of how impressive this rumour is, Samsung's Galaxy S3 took 60 days to shift 10 million devices, the Galaxy S2 took 150 days to reach the milestone and this device threatens to do it in less than 40! If this rumour is correct then that sort of sales figure is slowly, but surely catching up with the launches of Apple's new iPhones and even if it never catches up, it's remarkably good sales nonetheless!